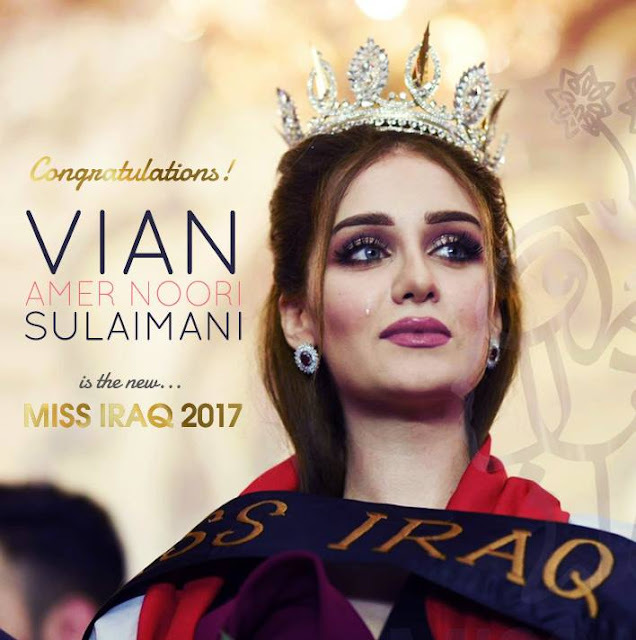 23 year old Vian Amer Noori Sulaimani was recently crowned Miss Iraq 2017. She hails from Sulaimaniyah and works for an investment company. There is a possibility that the Kurdish might represent her country at an international pageant later this year. The first runner-up was Masty Hama and the second runner-up was Marina Roqan. Sara Abdulwahid finished as the third runner-up. Vian is actually beautiful. I hope she does have the opportunity to compete at any international pageant!! !